Final Fantasy 7 Remake: FF7 is releasing soon. Almost two years in the making now, the role-playing game remake got another boost last week. The makers, Square Enix, announced that they will be transferring the baton to in-house makers from the earlier external partners CyberConnect 2, which has been handling till now. Final Fantasy 7: What is the hype all about? 1 Final Fantasy 7: What is the hype all about? 2 What is Final Fantasy 7 Remake? Japanese game developer brand decided to give a shot at the remake of classic 1997 epic Final Fantasy 7. The game became a raging sensation within the weeks of its release and many terms this revolutionary set of 1s and 0s as the greatest JRPG (aka Japanese Role Playing Games) ever made. Its imaginative characters and unique settings seemed to be its forte. So, these guys at Square Enix decided to ride on its success. But still, they seem to take all the time in the universe as it has been a good lot of couple years since their announcement. Even though fans were expecting a full-fledged trailer at the recently held original’s 20th-anniversary event. But they had to content themselves with just a new image which seemed nice enough to fit into the tag of an initial poster. Here is what was exactly released at the event….. Check: Garageband for Windows PC. Anyways one thing is for sure that it continues with the same set of iconic characters and locations. Another News claims that the remake will be the exact retelling of the whole original narrative. There will be a lot of pressure on the developers to make a franchise connect with the Generation Y which was actually meant for the starting era of Gen X. Continuing with that old magic along with the demand of today’s generation is surely gonna be a hard task. 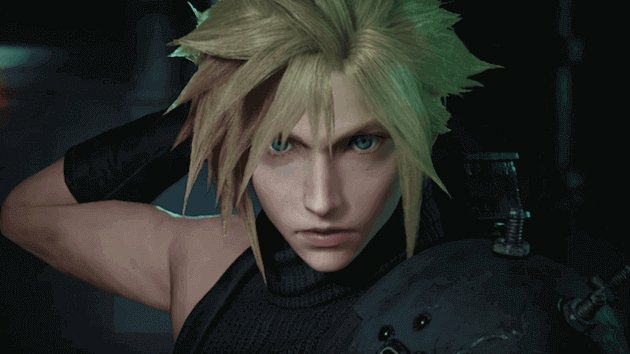 So, that being said, one can assume that Cloud Strife will be back with a bang on our screens. And this time he is supposedly working for AVALANCHE. It’s a group with a desire of saving the planet from Shinra which is an evil corporation and rules over millions in Midgar. Check: iMessages for Windows PC. When asked about its release dates in a recent interview with Japanese magazine Famitsu, Game director Tetsuya Nomura said FF7 Remake is ahead of Kingdom Hearts 3 in some respects. Apparently, Nomura seems working on both the projects simultaneously. That was all that one could get out of him on the name release dates. Also, it will be released in three installments which would all be released at different intervals. Probably, they will have their own release dates, too. “It will essentially be a full-scale game for each part of the multi-part series. Each installment will tell the story from a different angle. It was kind of like approaching an unknown territory in a sense,” Kitase told Game Informer. Square Enix hasn’t confirmed whether each part will cost separately or is it a one-time cost in which digital episodes will be followed as in Telltale. So far, the company (Square Enix) has released only one promo video. And that too was released at E3 2015. It gives a few exciting glimpses. Watching it, we can see that it has been taken from the starting part of the game. It means that the game is in the initial stage. Completely reworking is a risky proposition for FF7 Remake, but Square Enix seems to be taking it. The upcoming game will be making some serious changes to its battle system. It will introduce a formula more like Kingdom Hearts or Devil May Cry. The turn-based battles won’t be there. Instead, it will be replaced with a more actively dynamic experience. In real-time, there will be combat and exploration like Final Fantasy 15. So, battle transitions seem to have been removed completely. Cloud and friends will now be exploring a world full of enemies and not traversing a separate world map. It may or may not be an open world as the entire story will be split across multiple games. Exploration will be there, but it may be restrictive to locations relevant to the story as opposed to the open-ended nature of the original. But, it’s far early to confirm. Next articleAnurag Kashyap’s Gangs of Wasseypur 3 To Release In 2019?